House of the Teacher, Braga, February 16 to March 10, 2018. 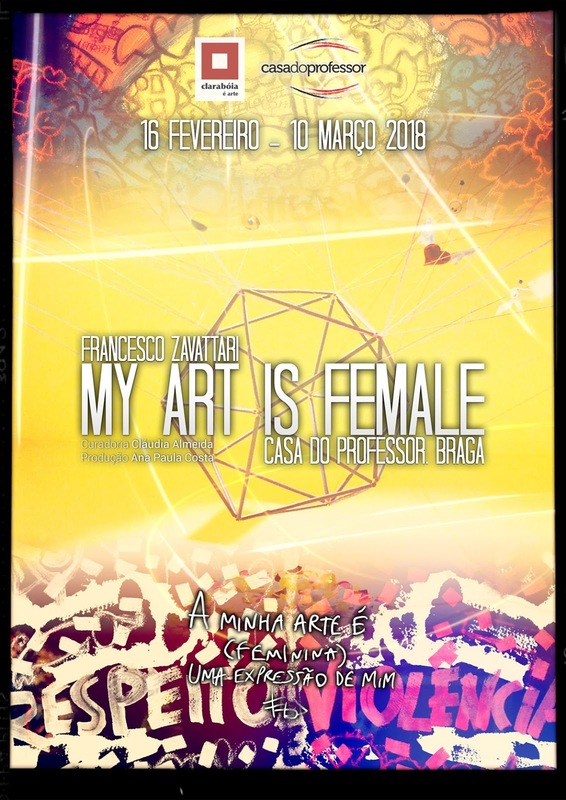 Francesco Zavattari returns to Portugal in February for another exhibition of his series "My Art is Female" at Casa do Professor, located in Braga. Concerning the commemorations of the 39th anniversary of this institution, the artist was invited to present his series dedicated to the themes of Women, Equality and Violence against Women; at that première, on the same day, the project focused on Gender Equality and Citizenship: "MH +" will be shown. 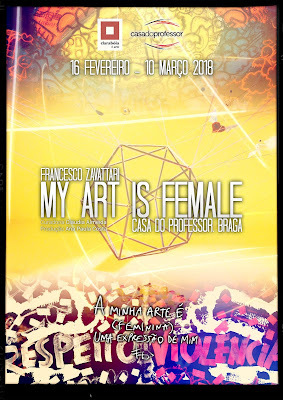 After accepting the challenge presented for the exhibition, Francesco will conceive in the Casa do Professor a true homage to woman and the celebration of her beauty and value, with an installation that will involve the audience in a very peculiar atmosphere.